Nothing adds a more delightful country charm to a home or cabin than a wildlife theme decor and moose type items are the perfect ones to choose. If you have an outdoor type personality on your gift list then this page may be the perfect place for you. I am sure that you will be able to find something that smells suspiciously like the great outdoors around here. There are moose noses poking out everywhere. 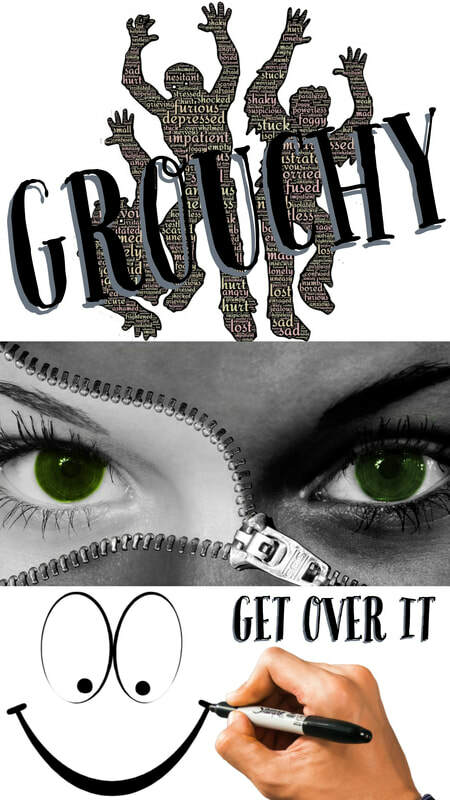 Jewelry, toys, clothing and home decor items featuring that oh so cute face are bounding all over this page. Grab a cup of coffee, put your feet up, and take a look around. You won't have to go chasing around in the forest to find these beasties. The male moose will generally weigh between 850 and 1580 pounds or 380-720 kg and stand 6 to 7 feet tall measured at the shoulder. While the female will generally weigh in around 600 to 800 pounds or 270-360 kg. The female of this species virtually never grow antlers but the male moose antler can grow to an amazing spread of 1.8 meters or 6 feet in length. Now that is an impressive rack. You don't want to be chased by an angry moose. Moose can run pretty fast too at up to 35 miles (56 kilometers) per hour. Way to go moose. I looked out our window one day to see a moose charging toward our home. He had been frightened by a nearby train and luckily he turned at the last minute to avoid crashing through our large front window. It just goes to show what happens when these big boys get scared. You sure don't want to be in their way when it happens. A wildlife gift can be delightful. It can blend the majestic power of the great outdoors with the mystic quiet of the woods and ever so soothingly bring it into the home and into the heart. Country theme home decor items are a great gift choice for those who have a deep appreciation for the wilderness and the creatures that reside there. What could be more wonderfully warm than snuggling down deep under the blankets with someone you love. A deep woods country theme blanket is delightfully perfect for those who love their wildlife. Whether shopping for yourself or for a friend it is easy to start an old fashioned country charm trend. Let a moose run loose in your house. Add a touch of wilderness to your home. These critters won't cause too much of a disturbance but they certainly are an attention getting conversation starter. Oh goodie goodie. Swamp grass for breakfast. Moose are vegetarians (or herbivores as they are called in the animal kingdom) and your average moose will consume about 70.5 pounds or 32 kg of food each day. 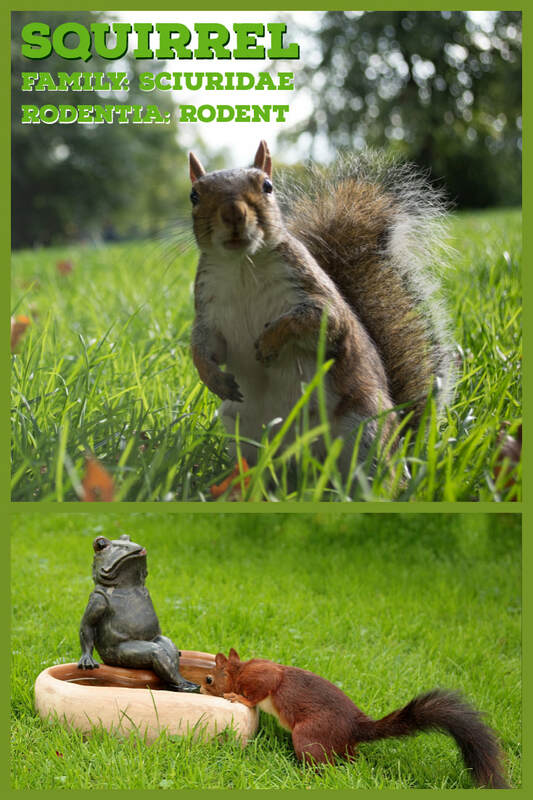 These woodland creatures have extremely poor eyesight which is rather an interesting fact. They are also excellent swimmers. This mammoth creature can dive more than 5 meters to get to the bottom of a pond to forage for food. Swamp grass must be mighty yummy to encourage anyone to put in that much effort to grab a little bite to eat. Nothing like a little swamp grass to start the day off right. Momma moose give birth to twin babies about thirty percent of the time. Yet in lean years when food is scarce the incidence of twin births drops to virtually zero. When the mama moose has just one calf (as they are called) it will weigh more than it would if she were giving birth to twin babies. 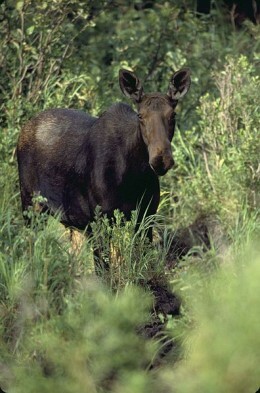 A single birth newborn baby moose calf will generally weigh between 24 and 28 pounds (11 and 16 kg) at birth. While a twin moose calf will usually weigh in at quite a bit less. Twin moose calves usually weigh about 13 pounds or 6 kg at birth. Moose calves are very vulnerable so the mother will generally hide her newborn babies away for a few days after they are born or until they are a little stronger and more able to face the trials of a wilderness community. 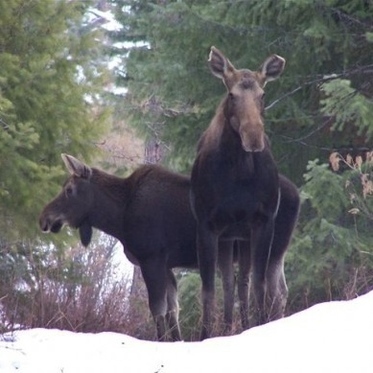 Once mama moose is taking her baby out foraging for food she can be very protective of her little one so be sure to give her plenty of space. She really loves her babies.The baby moose will stay with their mother until she has new calves in the following spring. The young moose don't always think that they are ready to leave home yet but the momma will chase them off and make sure that they start out on their own. Moose Predators? It can definitely be a rough life in the wild. 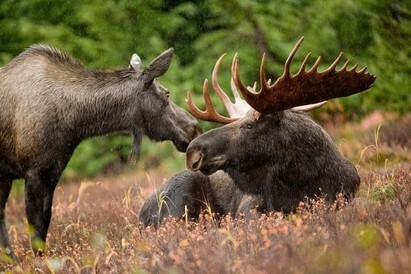 The average moose generally lives between 15 and 25 years but moose rarely die from old age. Cave drawings indicate that man has hunted moose for food since the stone age and remain one of their main predators. Adult moose have few natural enemies other wolves and bears but other animals will kill the calves whenever the opportunity presents itself. Cougars are known to take quite a few moose calves each year. The largest recorded moose weighed 1800 pounds (820 kg). It was shot and killed at the Yukon River in September of 1897. It is estimated that within Canada moose hunting provides about $500 million in economic gain each year. How Could Anyone Resist a Face This Sweet? If you are looking for an adorable plush moose toy for someone special then this is the perfect web page to visit. Cute cuddly moose are poking their noses into everything around here. Running into one in the woods can be a little scary but fortunately the plush variety are a little less ornery than their wild cousins. Let's face the fact that moose are cute in a homely kind of way. It's just a moose fact. Momma moose can't help but love baby moose and kid's can't help but fall in love with soft plush toy moose. Moose are cute. 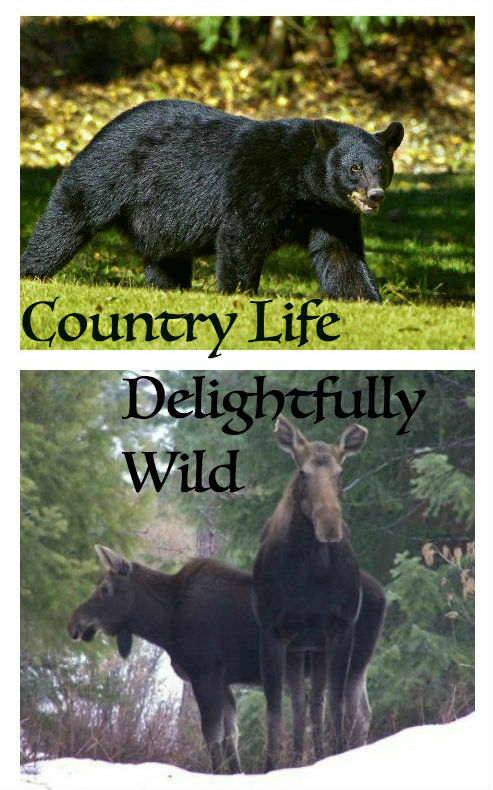 Yep, moose come in all shapes and sizes. Adorable enough to take on the toughest kid a plush moose would much rather prefer snuggling up next to someone who loves him than dashing around out in the forest. Soft enough for the biggest hug a cuddly plush moose is down and outright cute. It is also a great friend to teach children respect for wildlife. Hug a moose today.